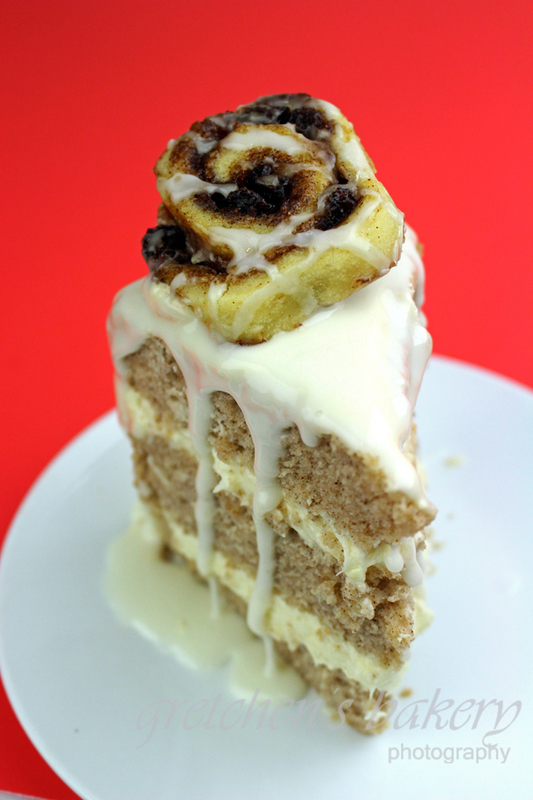 This idea for Cinnamon Roll Cake came to me while I was making one of the twelve recipes of cookies for my 12 Days of Christmas Cookies Recipe series! These Cinnamon Bun Cookies are quite possibly my favorite, not only to add a unique twist to your holiday cookie platters but for any ol’ time of year! 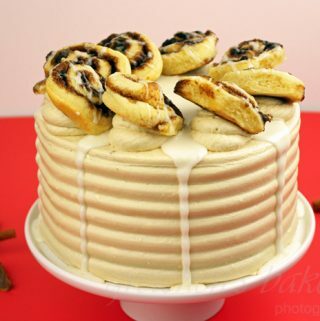 What better way to incorporate them than with this awesome Cinnamon Roll Cake!? The cinnamon sponge is so light and fluffy, after all it’s a spin off of my Best Vanilla Cake Recipe! 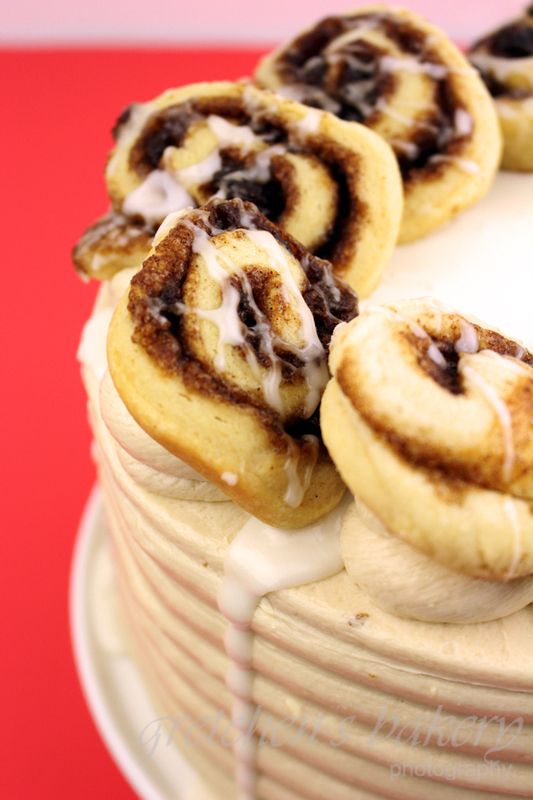 With Cream cheese filling and icing and of course those adorable and delicious cinnamon roll cookies for decor! I’m not sure which is the star of this show, the cookies or the cake? Cool in the cake tin until you can safely touch them with your hands and then flip them out onto a wire rack to cool completely. This cake must be kept refrigerated, but I find it is best served room temperature so set it out for about 1 hour before serving. I can see that you use flax meal as an egg replacement. I understand that it wouldn’t be classified as vegan anymore, but how many eggs would the 4 Tablespoons of flax meal equate to if I decided to swap it out? I think my daughter refers to herself as a vEGGan. I loved your baking. I just do not care for the gluten free stuff. So thank you anyway. I will stay with the standards. Hi Thankyou! 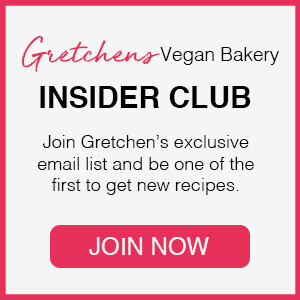 Well that’s a great thing since I do not do any gluten free baking! So you are in luck! 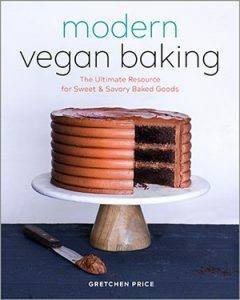 Is your cookbook available on google books? Or in any other ebook format? Hey, Gretchen, this sounds like another terrific cake. Just was wondering the reason for adding apple cider vinegar to the icing…. What does that do?